Leveled list and Encounter Zone Overhaul focused on decentralizing the player from the world. Trainwiz for Morrowloot. I Built my leveled lists starting from his. Replaced Ebony on High Level draugr with Nord hero. Not as strong and makes more sense. 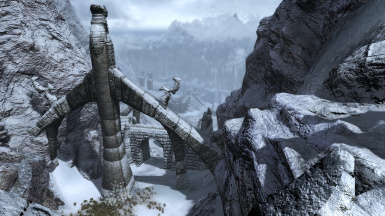 Bleak Falls Barrow and Korvanjund Encounter Zone levels lowered by 15. Now both are around level 30. Makes them more manageable for lower level characters. Fixed the FOMOD installer. Was making everyone install the deleveled world optional file. 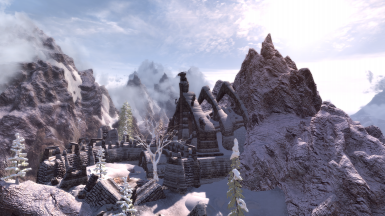 Skyrim Revamped is designed to decentralize the player from the world. 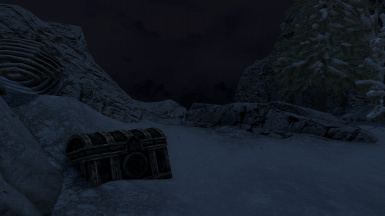 This is a fairly in-depth deleveling but basically loot and enemy difficulty will increase based on location and type. This means that vampires, mages, hagravens, etc. will be higher level and more difficult than bandits and forsworn. It also means that if you can take the more difficult enemies you will be rewarded for it. 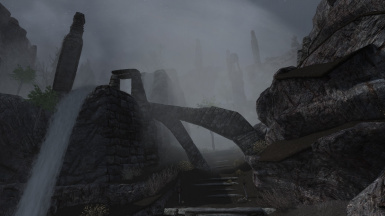 This mod is built off of Morrowloot's leveled list changes which takes away elven, glass, ebony, daedric, orcish, and dwarven items from the leveled lists. All enchanted and unenchanted weapons, armor, robes, circlets, jewelry, and gems have been deleveled. They can spawn at any level but the more powerful variants can only be found in dungeons. Dwarven items will be found in Dwemer ruins, Orcish items in the orcish camps, and Elven will be used and worn by Thalmor. Dwarven, Orcish, and Elven can also be found in bandit and forsworn dungeons but only at the end of the dungeons. The boss chests are your main source for these items. Glass, Ebony, and Daedric can be found from the more difficult enemies but again, only at the end of the dungeons in the boss chests. The more powerful Robe and circlet variants can be found in Witch Caves and Warlock Dungeons. Enemy type is the most important factor here. Vampires, Ghosts, Mages, Dwarven Automotans and Giants will be the highest levels. Hagravens, Spriggans, and Falmer will be next, and forsworn, bandits, and creatures will be the lowest levels. Dungeon's hold has the least effect and are divided into 3 difficulties. Falkreath and Whiterun are the easiest. The rift, eastmarch, and Hjaalmarch are medium. And Winterhold, the Pale and Haafingar are the hardest. Dungeon Seclusion has a decent effect on enemy level. I divided it into 3 categories again: Near and within the capital, Distant from capital, and mountain dungeons. All this adds up to mean that a dwarven ruin on top of a secluded mountain in Winterhold will be way higher level than any bandit camp. I'm talking about a 50 level difference. The more difficult enemies have encounter zones starting at level 50. Many of those dungeons go up into the 80s. These High levels are offset by spawn difficulty setting. Every enemy has a difficulty assigned to it. Easy, Medium, Hard, and Very Hard. Easy has a multiplier of 0.3, Medium is 0.6, Hard is 1.05 and Very Hard is 1.30. Very hard is usually the boss of the dungeon. Most enemies are Easy and Medium. So if you go to a bandit camp that is level 30 some enemies will be about level 10, some 20, and maybe 1 will be 30 and the boss will be about 40. This leads to a good progression in each dungeon. I also made an optional file that at this point is purely experimental. It adds an encounter zone to the tamriel world space which as far as I know has not been done before. It makes the entire outside world static but has not been tested thoroughly so I don't know what the potential problems are. I'm hoping for people to test and let me know what you find. Will be incompatible with other mods that change the item leveled lists or Encounter Zones. Trainwiz- I built off of his levelled lists for this mod so big thanks to all the work he did.